The ECO-5 is a powerful 5-stage turbine with dual air filters, QT™ Quiet Technology in a thoughtfully designed case with full ventilation and air filtration for higher performance and longer motor life. 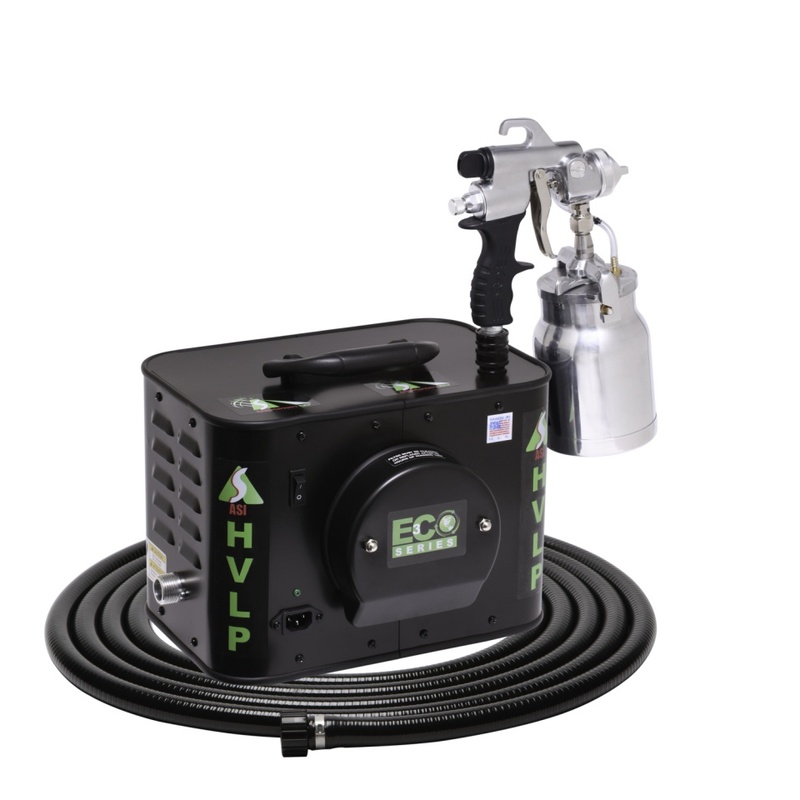 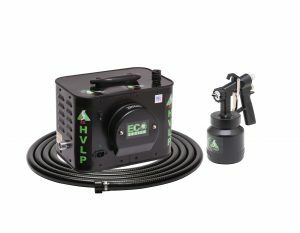 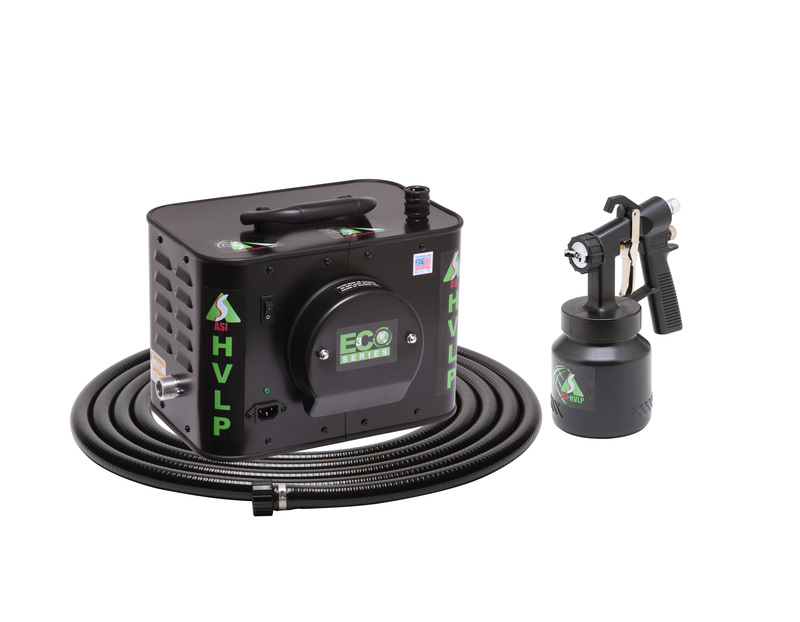 HVLP power to atomize and spray the fullest range of coating viscosities without compromise on cars, boats, planes, wood projects, fencing, farm equipment, machinery and more. 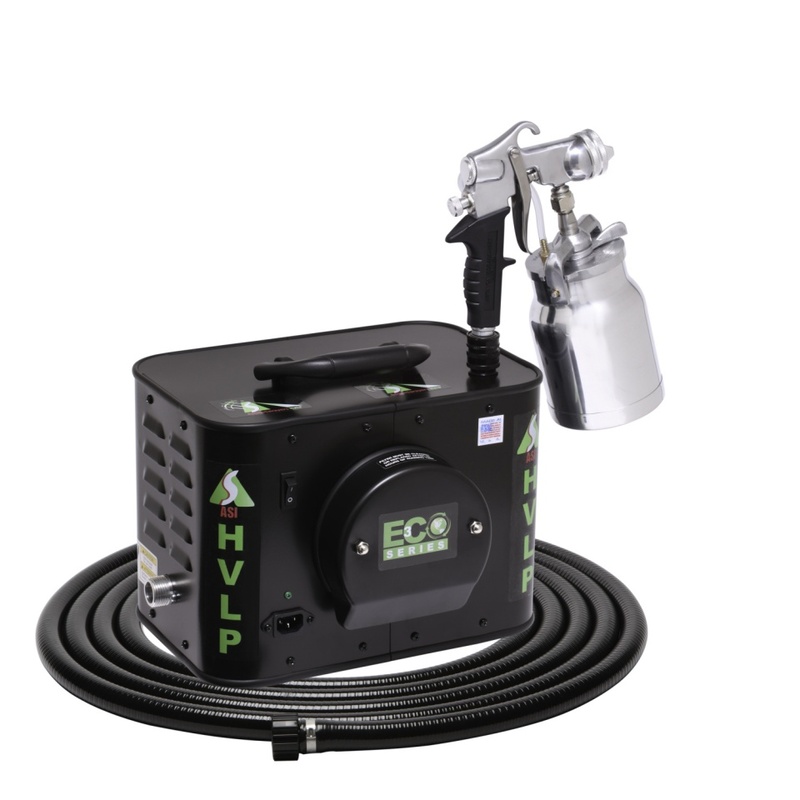 Excellent results with higher viscosity products including latex (emulsion) paints. 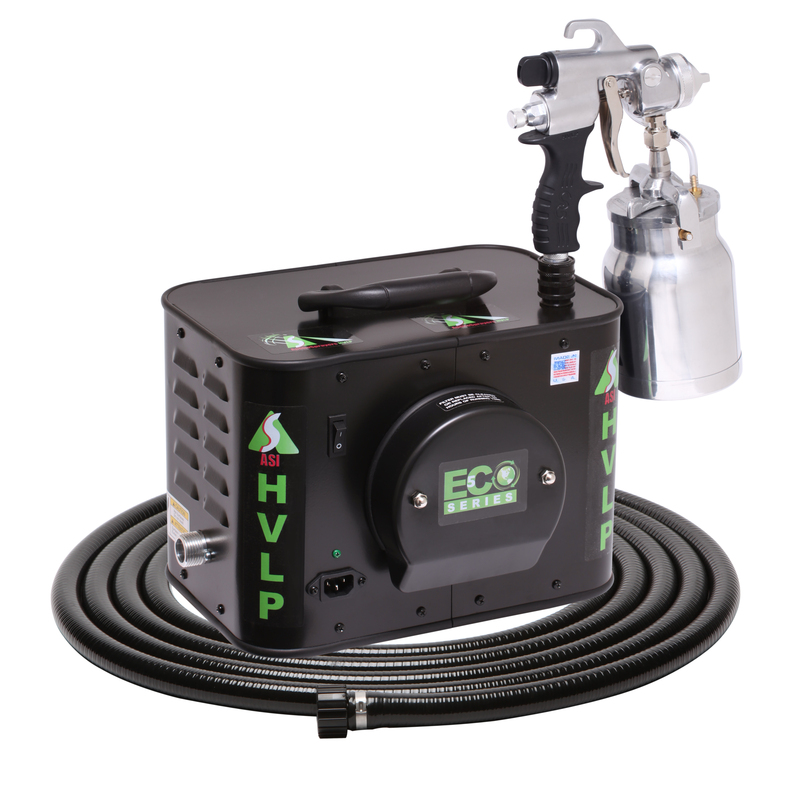 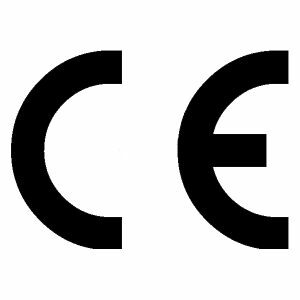 The ECO-5 is supplied with four excellent spray gun choices. 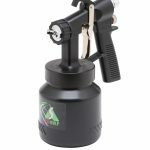 You can choose from a bleeder or non-bleeder style. 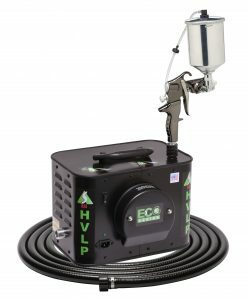 20 foot (6.1 meter) flex air hose. 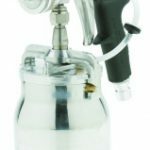 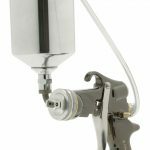 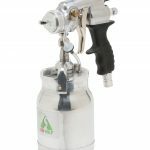 Comes with three spray gun choices: E6000 Bleeder Style Spray gun, E5011 HVLP Bleeder Spray Gun, E5530 HVLP Gravity Feed Bleeder Spray Gun, E7000 HVLP Non-Bleeder Spray Gun.